Ever since their inception in 2010, Berlin 3-piece EARTH SHIP have built their reputation in the vast field of the stoner / doom / sludge underground scene as one of the most relentless and heavy-hitting live bands out there. With their thunderous blend of sludgy riffs, bluesy leads, virulent vocals and a massive dose of both groove and humour, vocalist Jan Oberg, his wife Sabine (bass) and Basti Grim (drums) have taken EARTH SHIP to the stages of Desertfest, Stoned From The Underground or Pelagic Fest, and tours with bands like RED FANG, TORCHE, CROWBAR or VOIVOD. After 3 albums on Pelagic, the band signed with NAPALM RECORDS for the release of 4th studio album ,Hollowed" in 2016. But the alliance didn't last long: ,They did not live up to their promises that they lured us with in the first place, communication wasn't great and we just felt like we were not in the right place", Jan Oberg comments... and hence the band returned to our welcoming arms here at Pelagic for album #5: Resonant Sun. 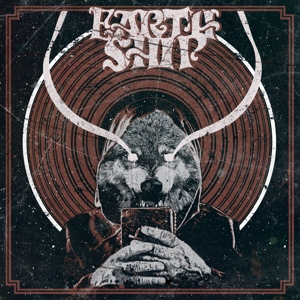 With new drummer Sebastian Grimberg on board the EARTH SHIP, the band continues an evolution towards more stripped down arrangements and tunes that stun through simplicity and heaviness, an evolution that began with 2014's Withered album. While the occasional clean vocals remind of TORCHE or ALICE IN CHAINS, Jan's range stretches far out into the harsh spheres of bands like MANTAR or WEEDEATER. The strikingly fat production of the album was done by the band leader himself, at his own HIDDEN PLANET STUDIOS in Berlin, where all EARTH SHIP albums to date were made. ,We're not really keen to record with someone else or somewhere else", bass player Sabine Oberg says. ,We're just too comfy at our studio, which is also our home, and Jan knows what he wants and how to get there, straight to the point. Having someone else involved would just distract from the course, and make things more dif ficult". Resonant Sun will be released on October 5, right in time for a European tour supporting CROWBAR, and a set of German headline dates with support by Denmark's RISING in November.